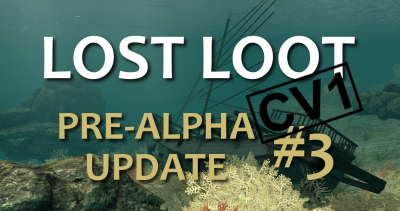 This latest update to Lost Loot brings CV1 support and a variety of other minor improvements! It also works beautifully with the DK2 if you are still waiting for a CV1. Anyone who purchased at any price can simply login to itch.io and download the new version. If not, now is the time to get it on the itch.io page. Things have been a little slow but there will be more updates soon. I am currently working on the raft – yes you will finally be able to drive the raft about although you will need to find the outboard motor and hunt for lost fuel drums to keep it running! The next update will give details on these fun mechanics. I hope you enjoy Lost Loot with the CV1 and please don’t hesitate to let me know if you have any issues with it. Tagged cv1, lost loot, oculus rift.